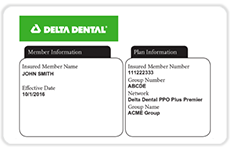 Depending on the type of membership your patient receives from Delta Dental of Minnesota, the portal you access will vary. 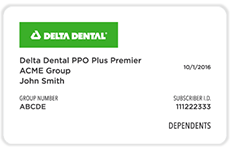 Your patient may have an an group sponsored coverage or individual and family dental insurance. Please select the portal which best applies to your patients situation. If your patient has an I.D. card that looks like this, they have an Employer-Sponsored (group) plan. If your patient has an I.D. card that looks like this, they have an Individual and Family Plan.